[vc_row][vc_column width=”1/1″][vc_column_text]Server are computers that fulfill the query of client by delivering webpages which includes images, scripts , texts etc. We will be go with LAMP (LINUX, APACHE, MYSQL, PHP). I have ubuntu14.04 installed in BeagleBone Black(BBB). The ubuntu os image, i am using, is from elinux.org. 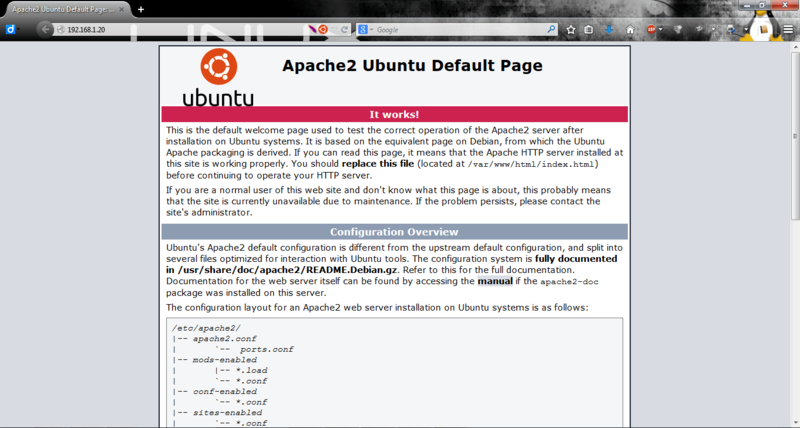 It already have apache installed, but i will assume you don’t have apache installed in your BBB. You can check it on your BBB by either typing http://arm.local or your lan’s local ip address (eg. 192.168.1.20 in my case, use “ifconfig” to check yours). 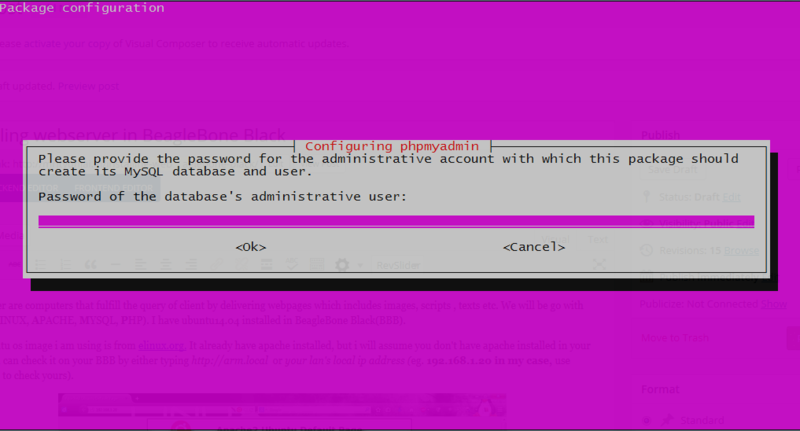 It is also available in Ubuntu pakage repositiory, while installing you will need to specify a password for database. by default username is root. Now, we will test whether php is working or not. 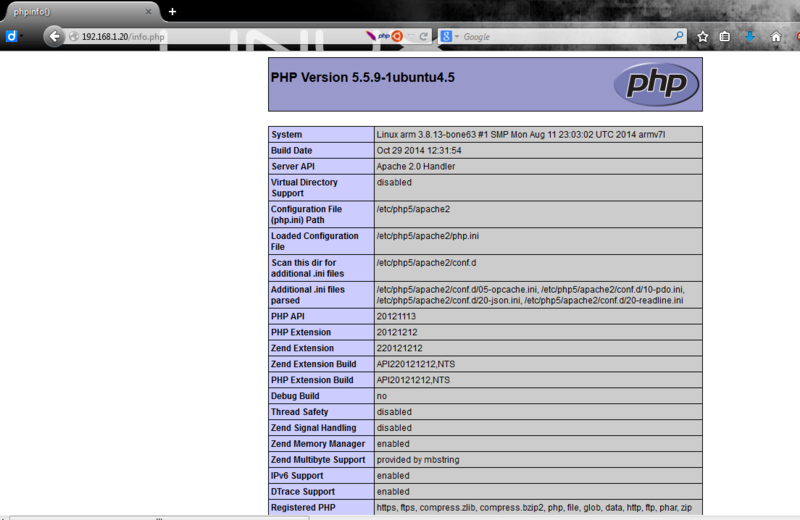 For this we will use php script and call that in local network via any browser. then save and exit by using ctrl+x. For this we will use any mobile, pc or laptop connected in same local network . It will ask for password that you had given in 2nd step of mySql5 setting. Provide that and hit enter. Next Post Making ‘Local’ webserver ‘Global’.